Sunshine.co.uk is an independent online travel agency that launched in 2007 and 10 Yetis has handled the public relations activity for the site for a total of nine years since way back in 2008. If the name didn’t already give it away, the online travel agency specialises in sunny holidays overseas in destinations such as Spain, Cyprus, Portugal and even as far as the Caribbean, Mexico, USA, Dubai and Thailand. There are sister websites of sunshine.co.uk, which include bonvoyage.uk, an online cruising travel agency, Tenerife.co.uk, a website specialising in holidays to the largest of the Canary Islands and also airporttransfers.co.uk, a website people can use to book their airport transfers. The head honchos at sunshine.co.uk love a key word domain! 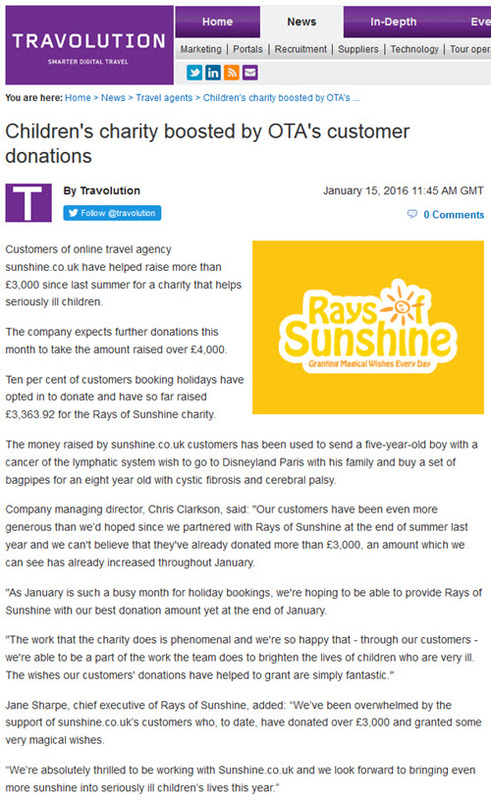 Our public relations activity for sunshine.co.uk was always been about increasing awareness of the travel agency through online, print and broadcast media coverage. 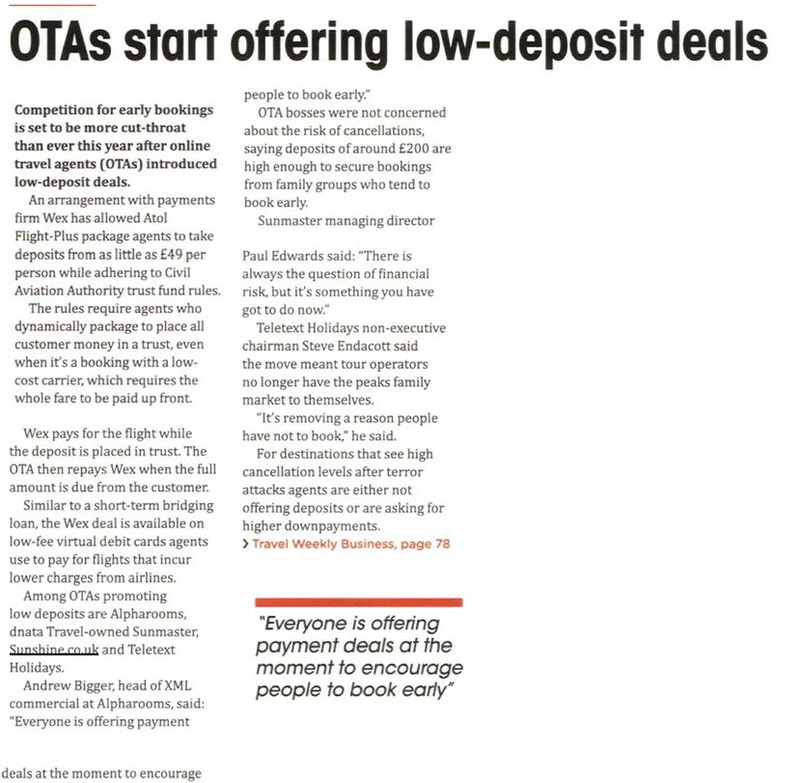 We were also an integral part of the travel agency’s link building campaign, ensuring that our online media coverage for the site contained links wherever possible; subsequently having a positive impact on the search engine optimisation (SEO) of the website.PR for SEO is one of our strengths as an agency. 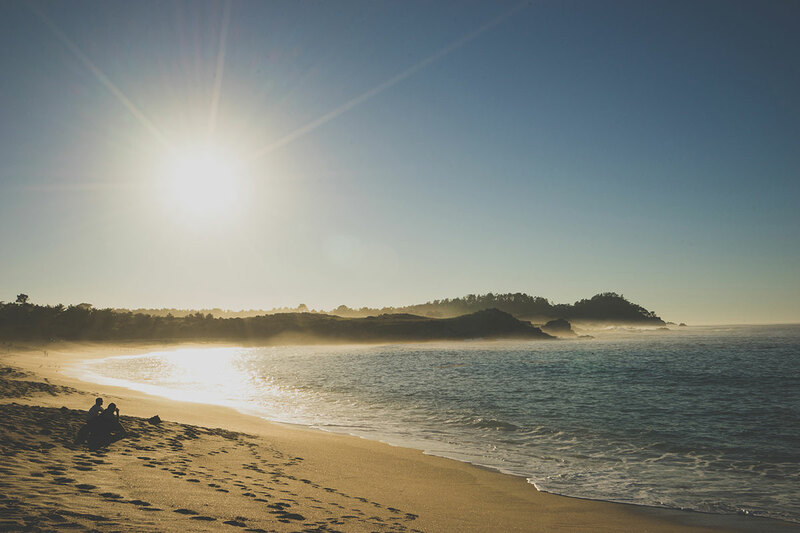 In order to get sunshine.co.uk’s name out there and make sure the site was on people’s minds when they came to booking their holidays, there were a number of activities that we focused on. First of all, we created press release from polls and studies carried out by sunshine.co.uk, focusing on holiday habits, behaviour and insights. 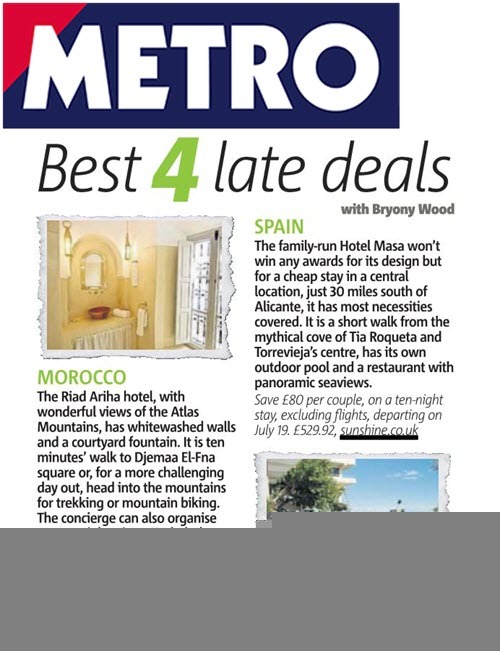 Each week, we also sent a roundup of the best travel deals to travel journalists to try and get sunshine.co.uk into the ‘late deal’ columns; something we achieved most weeks in the likes of The Sun, Daily Star and Sunday Mirror. 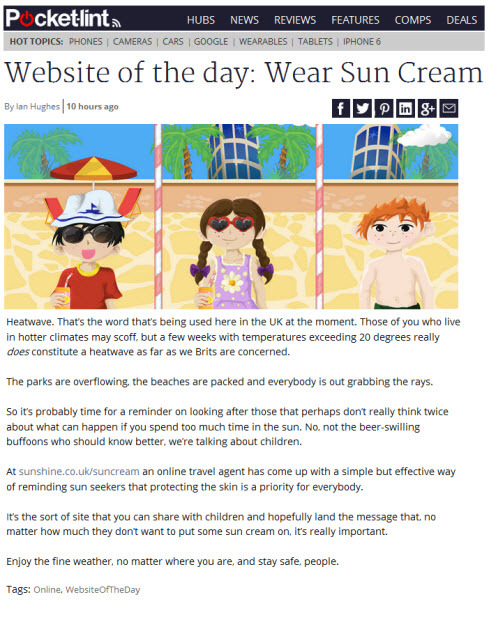 We also worked with sunshine.co.uk to create topical travel and holiday related features for journalists and worked with our media contacts to find out what they had planned that sunshine.co.uk could contribute towards. Examples of these features include articles such as ‘How to get a bargain break abroad’ and ‘Top 10 tips for making it through a long-haul flight with young children’. 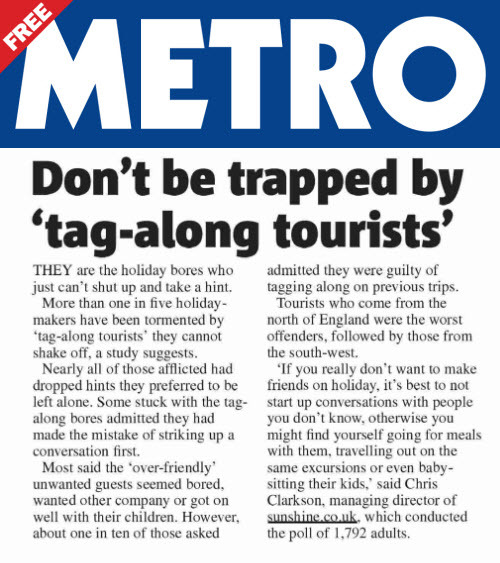 We have also worked with sunshine.co.uk on the creation and promotion of microsites, such as spoof British holiday website rain.co.uk and also weekoffwork.co.uk, which enabled people to generate funny excuses that they could use when talking to their boss to get time off work and book a quick escape. 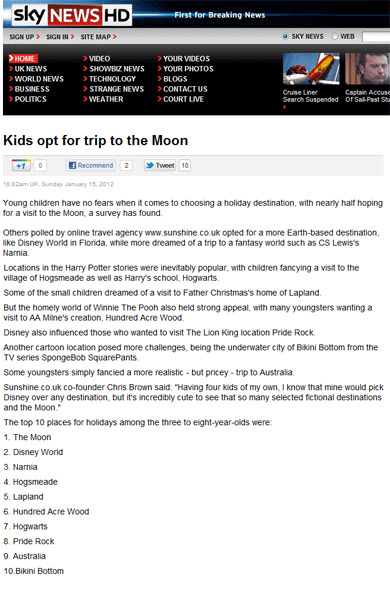 Occasionally, we also worked with journalists to help organise press trips. We sent a journalist from Cosmopolitan magazine to Ibiza and, on her return, she reviewed the hotel she’d been staying in and the places she’d visited whilst she was there. 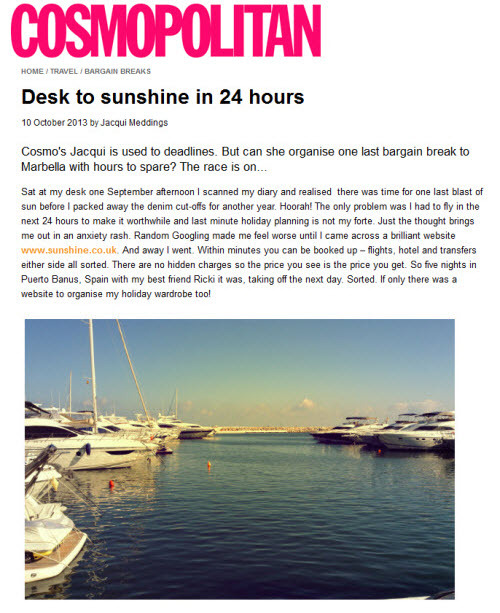 Of course, sunshine.co.uk was mentioned in the piece, which highlighted how someone can get from their desk to the beach in 24 hours (sunshine.co.uk specialises in fast online bookings that mean a user can book and travel within a very short space of time). Other fun campaigns we worked on included some concept images off the back of a survey sunshine.co.uk ran to see which celebrity body parts made it onto the list of the dream beach bodies. We created images of what the male and female bodies would look like once all the celebrities’ body parts were put together. 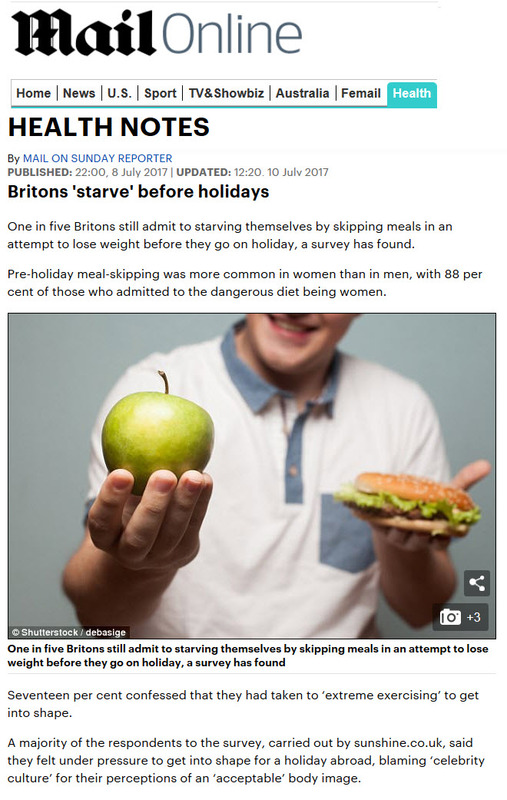 This was picked up by the Press Association and received media coverage on almost every regional/local news website in the UK. 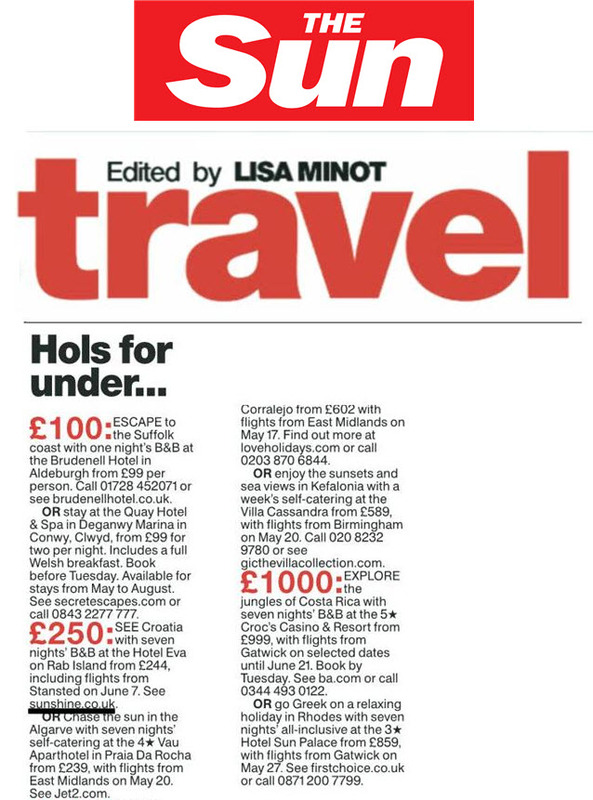 Since the start of our relationship with sunshine.co.uk back in 2008, we have secured tens of thousands of pieces of media coverage for the online travel agency. 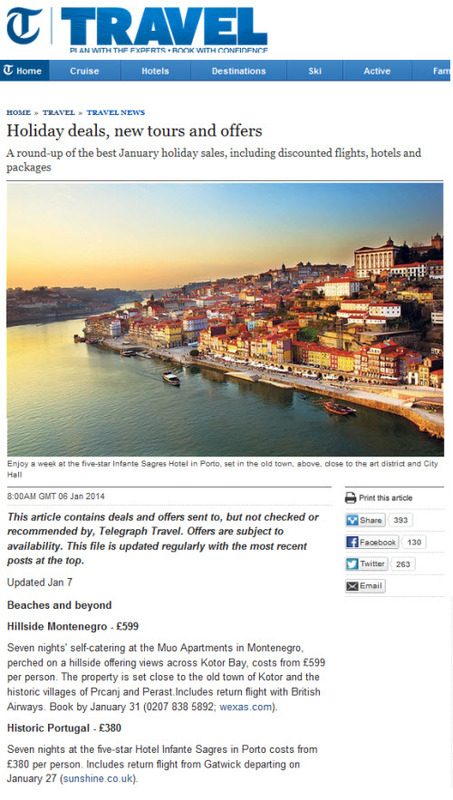 The site has appeared in almost every national newspaper in the UK, but our coverage has also reached further afield. Our global PR coverage for sunshine.co.uk has appeared in countries such as Australia, France, America, Germany and many other territories. More importantly, from an SEO point-of-view, we have achieved around 700 links on high domain authority websites for sunshine.co.uk over the years. Travel journalists would regularly contact us for information from sunshine.co.uk and story ideas, rather than it always being the other way around. 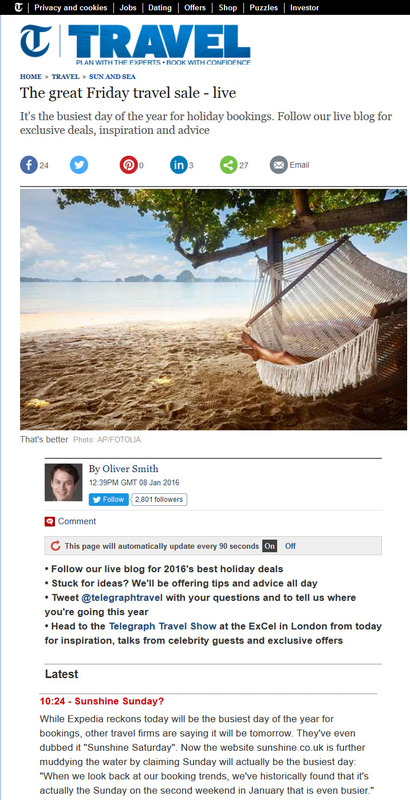 We’ve built strong relationships with travel editors at various newspapers, magazines and websites, which helped massively with our day-to-day pitches for sunshine.co.uk and certainly improved coverage levels.